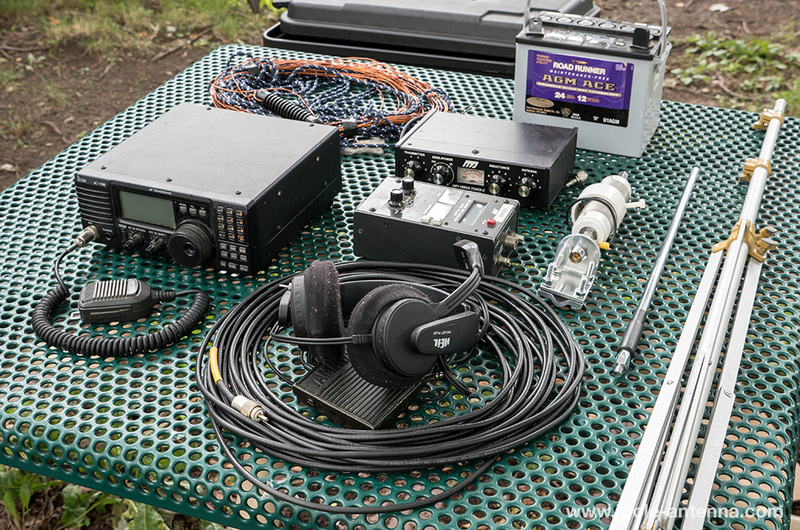 Taking the radio out of the shack and operating in the field can be a great learning experience. Our home stations tend to be optimized for the location, with reliable power, working antennas, and a comfortable environment. But go outdoors and all bets can be off. Bugs, wind, and rain, not to mention flaky antennas, sketchy power, and the randomness of propagation will all work against you. Recently I activated a few entities for the National Parks on the Air Special Event. It was a fun weekend, albeit also a learning experience. Here’s a recap of what went down. 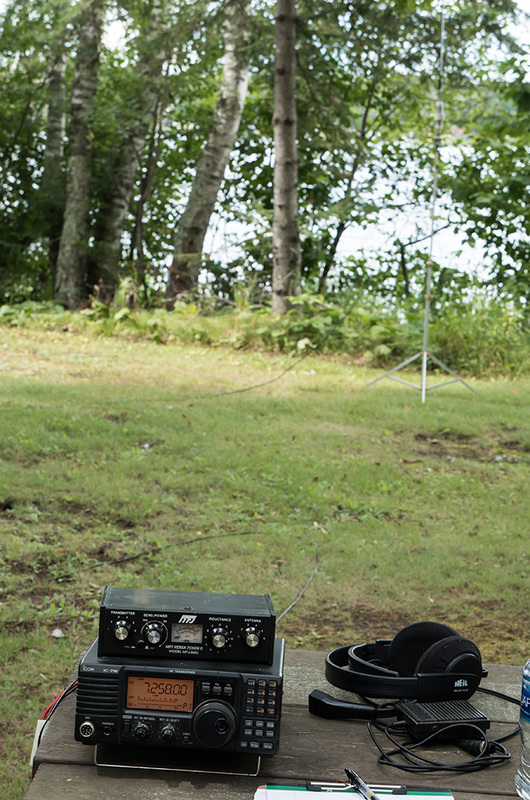 In 2016 the ARRL launched a keynote event called the National Parks on the Air to celebrate the 100th anniversary of the National Park Service. The leagues year long centennial event was such a success that they wanted to recreate that same with NPOTA. And so far with the year little more than half over, they have certainly done that. Of the 488 NPS units eligible, there have been over 10,000 activations and close to 600,000 QSOs generated between January 1st and August 15th of 2016. NPOTA organizers are estimating that over 1,000,000 QSOs will be had before the end of the year. I got into the NPOTA activity by invitation of a fellow ham. Joe, KD9CJX asked if I’d be willing to accompany him to Northwestern Wisconsin in August for a few activations. Since I was available the weekend in question, I bit on the opportunity and said yes. His in-laws had a cabin near Spooner so we used that as our base of operations as we activated the Saint Croix National Scenic Riverway (WR09), North County National Scenic Trail (TR04), and Ice Age National Scenic Trail (TR05)- along with the New Auburn Ice Age Visitors Center (AA11). Three activations over two days sounds ambitious, but their proximity was such that we could spend a few hours at each without too much traveling. So getting on the air takes a little bit of skill and sufficient equipment to take into the field. Most operators go for the little to no impact route, so most of the stations are run on battery power and with portable antennas placed on vehicles or tripods. 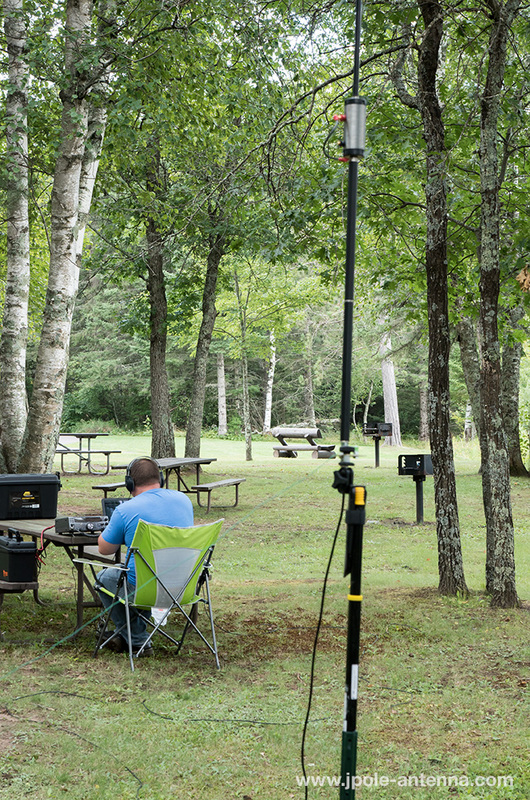 My station consisted of the following: Icom IC-718 HF rig, MFJ 945C portable tuner, Wolf River Coils 10-40m coil with a 10 foot telescoping whip, and 35 Ah AGM gel cell battery. Logging was done on paper. 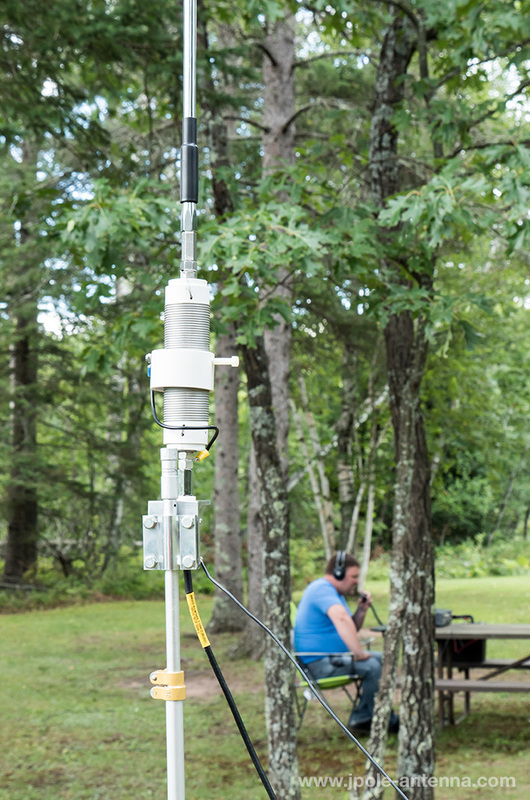 Joe used a similar setup with a Kenwood TS-2000 and Buddistick vertical antenna. I also used a Heil pro-set headset with foot switch so I could relax in a lawn chair while operating while he had to contend with the hand mic and headphones. Working out of the back of the car at the Saint Croix National Scenic Riverway. 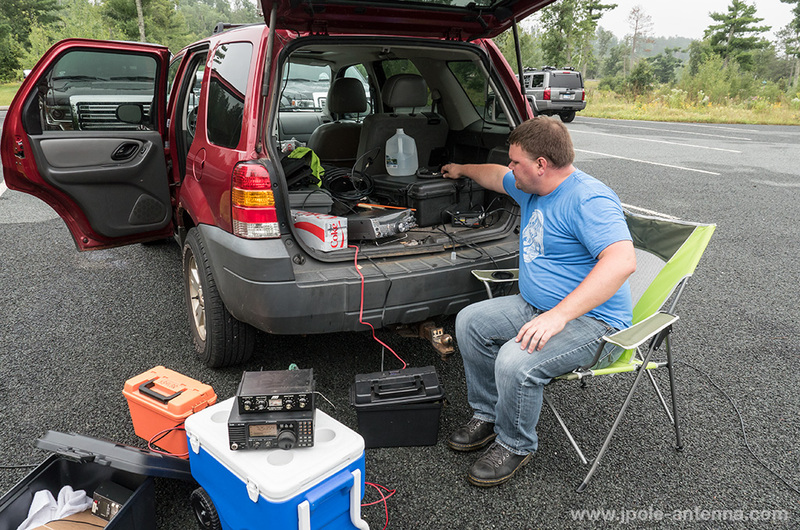 Joe, KD9CJX, is on the tailgate while I sit next to the cooler. Saturday morning, the 13th of August we loaded up the car and headed out from our base to the first location, the Saint Croix National Scenic Riverway. We set up near the bridge where State Highway 35 crosses the river. There was a small park with a boat landing, so there was plenty of parking- along with a bit of activity from canoeists paddling the river. The weather was warm with a bit of mist and fog, so the equipment stayed on the tailgate of the vehicle and the antennas where erected along a mosquito infested grove. For the two hours we were at the park, we just no contacts on 40m and just a couple of 20m. We’re sure not off to a good start. Packed up from the located we headed north towards Solon Springs, WI to operate on the North Country Scenic Trail. But first a stop for lunch. A nice little bar overlooking Cranberry lake and the Minong Flowage provided some delicious burgers and libations to keep us going. Set up in Solon Springs along the North Country National Scenic Trail. Working 40m (with not much luck) on Saturday afternoon. 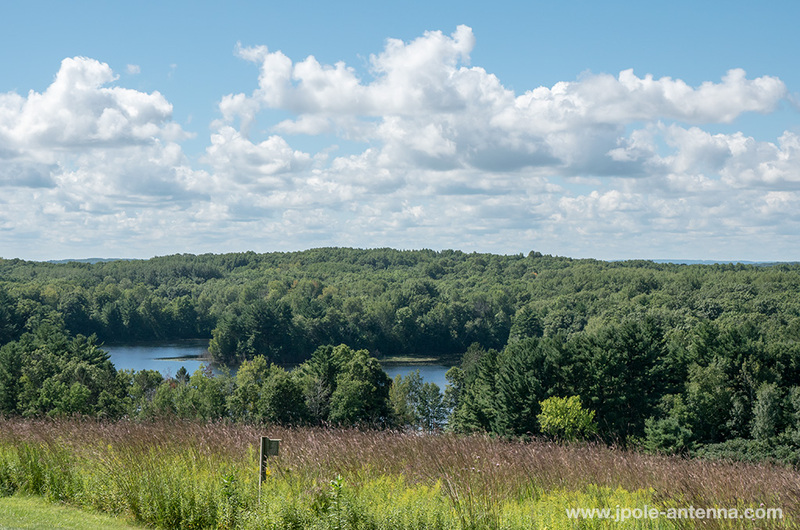 Our Saturday afternoon was spent at a boat landing for the Upper Saint Croix Lake along the North Country Trail. Conditions were a little better in the afternoon. I picked up one contact on 40m and Joe had about 10 on 20m. Nothing too exciting. At the least the scenery was nice at the shady park along the lake. With almost two hours of operating, we quickly packed our equipment as pop up showers dampened out afternoon. My vertical antenna consisting of a ten foot telescoping whip and Wolf River Coils, 10-40m portable coil. Fast forward to Sunday morning. We packed up the car and Joe said good-bye to the in-laws who graciously hosted us at their cabin for the weekend. We started driving south on US Hwy 53 towards New Auburn and a quick side adventure at the Ice Age National Scenic trail and visitor center. The visitor center was open, but the host allowed us to set up in the picnic area for a couple of hours. 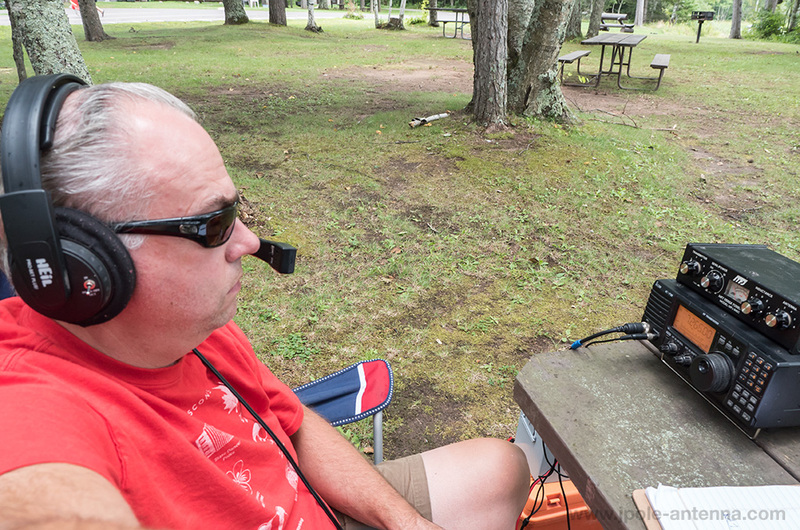 Joe was doing great on 20m, picking up a nice string of contacts and I was threatened with another goose egg on 40m. But I received word that 10m was open, so with a quick retune of my vertical antenna, I started to call CQ on 28.390 Mhz. I was soon rewarded with about a dozen contacts. Which in itself is a good thing as Joe was starting to question the efficacy of my antennas. (He said I should stick to J-Poles). At least I was able to prove him wrong. Look at that view! Sunday we set up on a glacial moraine that afforded us a view of 40+ miles of the surrounding landscape. All in all it was a good trip. Between the two of us we had over 60 contacts and gave several hams some new National Park activators. The great news was that since we were in the middle of nowhere, our noise floor with next to nothing. It was great to get out and not hear electrical noise and other interference. The bad news was that the band conditions were so-so for the weekend. But since we are on the downward trend of the solar cycle, conditions were as good as could be expected. Joe’s using the Buddistick vertical antenna- a popular choice of NPOTA activators. Pack light and portable. Tripod mounted vertical antennas and short dipoles make setup and teardown easy. Even though I brought a 40m dipole with me, I’m glad I didn’t have to use it. We were threatened with rain most of the weekend, so being able to quickly tear down was advantageous. Bring protection: Hats, jackets, sun screen, and bug spray are important. Here in Wisconsin the mosquito is the state bird, and they were out in full force. Also after a couple hours in the sun you can get pretty toasty, so a good hat and sunglasses is important. Advance planning: The weather had an impact on our operation and recent heavy rains and flooding had us scrambling to find a new location to operate along the Saint Croix River. Also know a bit about the park unit you are activating. A bit of research on line will give you conversation points to talk about as you make contacts. Have fun: Your helping celebrate the 100th anniversary of the National Park Service, so have fun. It should be like a party on the air. Time may winding down for the anniversary celebration event, but there are still several good months of operation left in the year. Look around for a National Park Service unit in your area. There should be something within an hour’s drive of your location. Even though the location may have been activated several times, there are plenty of people that haven’t collected that park unit yet. Go out, have fun, and make some noise on the air for the National Park Service.